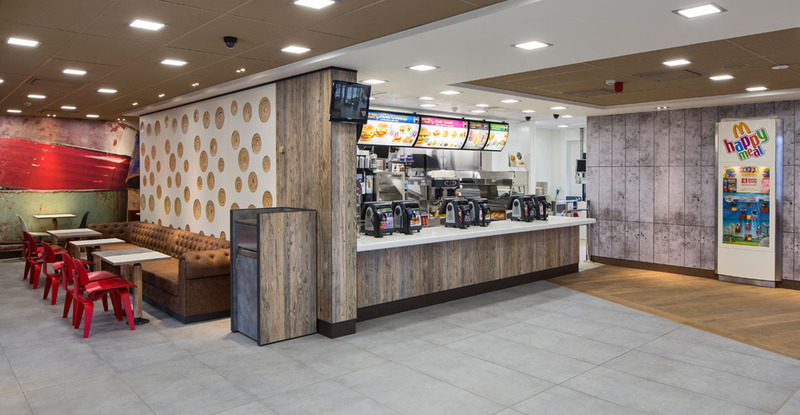 The Clifton Moor Restaurant in York underwent a complete refurbishment, which required it to be stripped back to the core and fully fitted out in 6 weeks. 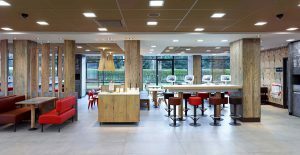 Adding another level of complexity to the project, the building required extensions on three elevations and a new roof had to be installed. 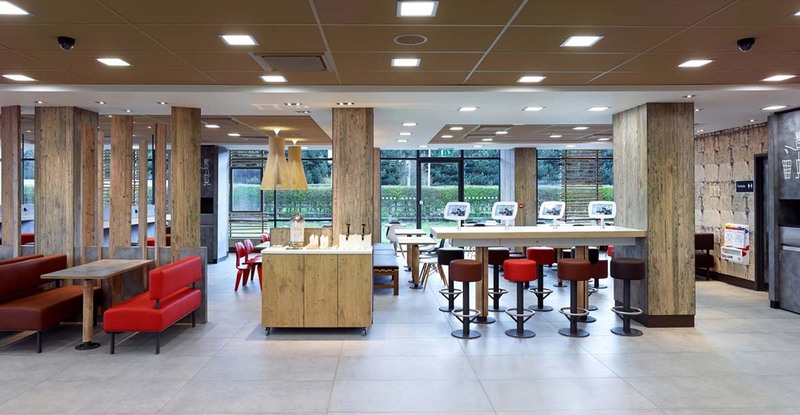 The internal layout of the restaurant was changed in keeping with the latest design requirements from McDonald’s. 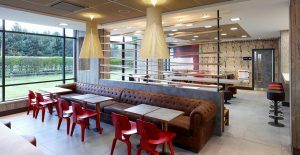 A major element of the fit-out was the full mechanical and electrical installation which included the integration of the new kitchen equipment. 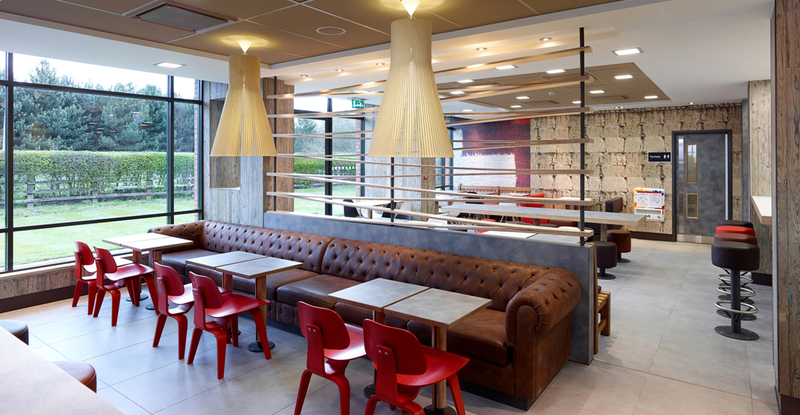 New ceiling, tiled flooring and decoration were carried out and all furniture and specialist joinery installed. 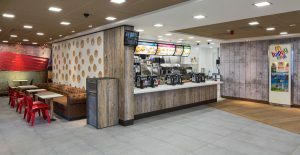 The new restaurant features McDonald’s premium ‘Wood and Stone’ interior design, which is decorated with natural wood and sustainable stone materials. 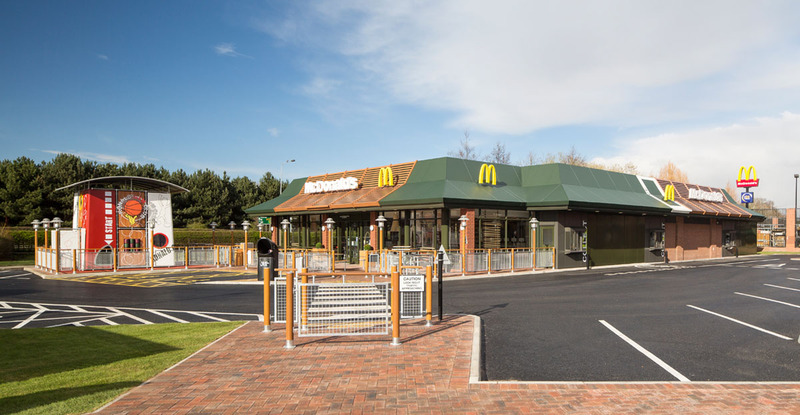 Externally, major landscaping works were completed which included the relaying of the car park and the installation of a dual drive thru with associated cabling and customer ordering display. The restaurant also has the UK’s largest outdoor McDonald’s play area and has 15 Samsung tablets for customers to use at any time of the day.